The PT-VW360 3LCD projector, is capable of 4,000 lumens of brightness at WXGA and offers a superb blend of picture quality, practical features, quiet operation (29 dB), and long-lasting reliability. 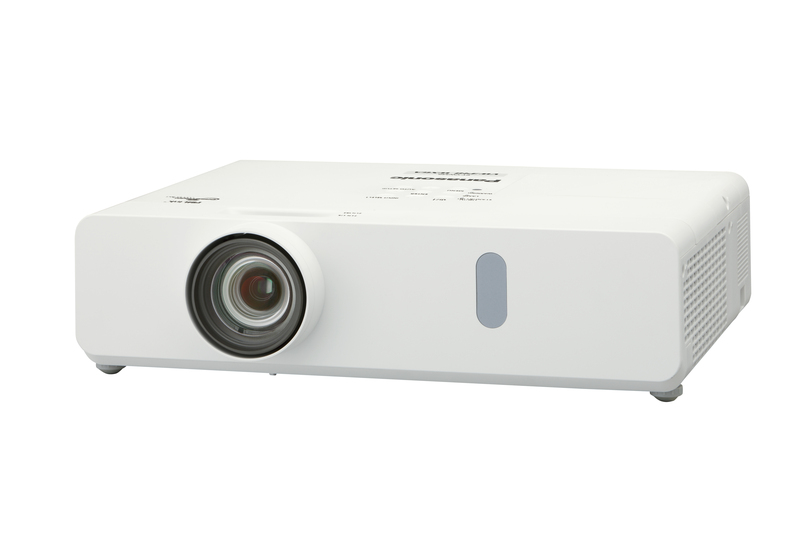 The PT-VW360 series is the lightest and brightest projector in its class, offering high-contrast imaging on screens up to 300 inches, whilst boosting contrast to 20,000:1 with an iris mechanism, reproducing text and graphics clearly. Available from May 2018, the PT-VW360 can assist with focus, screen-fitting, and wall-colour compensation, meaning projector setup and realignment has never been easier for users. A flexible 1.6x zoom lens, curved screen and corner keystone correction are among the features available for ease of projecting off-centre at various throw distances. Plug-and-play connectivity allows access to two HDMI® inputs, USB input display from PC, and a memory viewer function so that content can be projected from a USB flash-memory drive. The addition of an optional ET-WML100 wireless module, enables projection over Wi-Fi®. “With robust construction, low maintenance, and high brightness, the PT-VW360 Series punches above its weight in both cost and performance, while enabling users the flexibility to project anywhere,” added Hartmut Kulessa.